There is a solar and a lunar magnetic shell enveloping the entire planet. These two shells remain in place as the earth rotates underneath them. At 110 kilometers above the earth lies the lunar magnetic shell. There are four fields in the four quadrants of the Northern Hemisphere. Within one quadrant a lunar magnetic current flows in a clockwise direction while in the neighboring quadrant there is a counterclockwise flow. The clockwise direction yields a positive overall charge of energy while the counterclockwise motion yields a negative overall charge. Similarly, there is a solar magnetic shell at 120 kilometers which houses two magnetic current fields. Again, one flows in a clockwise direction while the other follows a counterclockwise direction. The center of each current, solar or lunar, positive or negative, is termed the Focus and is the stillest area of current. It has a diameter of, practically speaking, 350 miles which is the same as the Colorado Plateau passing underneath. The diametrical distance defines a band of influence between 20 and 40 longitude on the Northern Hemisphere in which bio-electric life experience is unique in several ways...At certain times of the year, as the Four Corners (of the U.S.) passes under the Focus of the clockwise solar current, Tibet, which is opposite to it on the Northern Hemisphere, is passing under the focus of the counterclockwise solar current. Twelve hours later the experience of the effects is reversed for the two land masses. While Four Corners passes slowly under the Focus of a clockwise lunar current, Tibet is also experiencing a clockwise lunar current. Simultaneously, Holy Jerusalem, the Pyramids of Giza in Egypt and the "Sacred Breathing Mountains" of Hawai’i are experiencing the Focus of the counterclockwise lunar currents. Six hours later the lands have shifted approximately 90 degrees to the next set of lunar currents. To add to the above information from my akashic perspective, when the Focus of the solar and lunar shells moves over the roil point of the planet (the Hawaiian Islands, center of which is Mauna Loa on the Big Island), a geomagnetic energy charge is sent to the sun atoma at the center of the earth. The clockwise current sends a positive charge into the planet’s core, while the counterclockwise current sends a negative charge. This action keeps the planet’s geo-magnetic center stable amidst the changing flux of magnetic energies active in the upper layers of the earth’s mass. 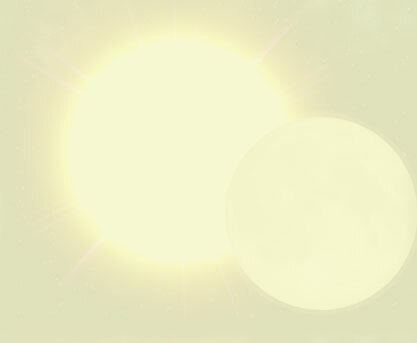 Venus acts as an adjuster between the solar-lunar shells of the planet and the central sun atoma. It helps to regulate the difference between the OUTER solar-lunar and the INNER sun atoma magnetics. Since Hawai’i is the roil point of the earth, this activity of Venus is especially prominent in these Islands. The roil point is the magnetic entry into the earth. The Influences of Venus as the "regulator" of the outer solar-lunar with the inner solar is therefore especially strong in Hawai’i. The hologramic brains of the cetaceans contain what could be called a "Venus node" in their brains. This node is like a crystal radio that sends and receives signals from the Venusian magnetic influence and in turn, helps to guide it to the center of the earth. There is a similar node in the human brain, but it is not attuned like the cetaceans to the complete hologram of the Venusian-Earth dynamic. It IS, however, awakening to this interactive magnetic frequency. The Lemurians were well aware of the Venus effect and the cetacean role in the whole dynamic. They attuned to the dolphins and whales in the Dolphin Temples at specific times when they knew this dynamic as especially active in order to center the human heart within the magnetic exchange more fully. Later, the E’mu Lemurian descendants followed a similar practice as well. Person’s attuning to the roil point of the planet will find a powerful point of entry and alignment with the "whole earth" geomagnetic body for the purpose of personal and world healing. There is also of course, a strong resonance established between the Hawaiian Islands and the "Medicine Wheel" of the American Southwest, which is centered at the Four Corners, but extends out to encompass much of the four states of Utah, Colorado, New Mexico and Arizona; and with the Giza Plateau, Jerusalem and Tibet. A personal note: I received from my streaming with Thoth to look up the archived information on the solar and lunar shells from my 1980 issue of "The Source"...receiving that it would correlate with our current work in Hawai’i. I had not read this material in many years, so did not remember that it had anything specific to do with Hawai’i. About 3 years ago, Simeon and I had been shown inwardly how our work in the Southwest aligned to the "Holy Land" and also Tibet. Tibet is in the same latitude as is Crestone, Colorado on the opposite side of the planet. We lived in Crestone for 7 years before re-locating to Santa Fe, NM...and now on to Hawai’i. I now see how our recent (2004) move to Maui continues our "acu" work with the planet along a specific path.